Of course tomato soup is great with grilled cheese, but to change it up I decided to pair the soup with arepas. I really never thought about making my own tomato soup and decided to give it a try. This recipe is tasty and easy. It is naturally gluten free. Click on Arepas for that recipe. Put all ingredients into a food processor and process until smooth. Pour into a medium sauce pan and heat on medium, stirring often for about 8 minutes or until hot. Arepas are often served in South American restaurants and of course, are very popular in South American. They are easy to make at home. Arepas are made from precooked corn flour and the one that I used is P.A.N. It is marked GF and is found in many grocery stores. Bob’s Red Mill also makes a harina precocida which can be used. As always, check it carefully if you have Celiac. This recipe makes slightly crispy thin arepas, which I like to use as a substitute for a dinner roll. They can also be topped with cheese, tomatoes or black beans. Arepas can also be made larger and stuffed like a sandwich. I like to use plastic wrap to shape them and keep my hands clean. Combine flour and salt in a large bowl. Put dough on a piece of plastic wrap and form a 2 inch thick disk. I also used this recipe with Pulled Pork Arepas Appetizers. This is the second year I used my very tall rabbit- proof greens garden. I planted the seeds, went on a trip putting Mother Nature in charge and came home to a full bed of lettuces. My rabbit- proof garden does not grow much, but it makes a nice small salad to go with lunches. Here is a quick recipe for dressing made from ingredients you probably have around the house. The dressing has a bite to it, so I use it sparingly. Store in a small jar in the refrigerator. Christmas can be difficult for those who have to eat Gluten Free who want enjoy sweet treats for the holidays. Below are some recipes using ingredients that can be easily found in local markets. These are especially good for the newly diagnosed. All the recipes just happen to be gluten free and are yummy for everyone. Some other suggestions are homemade fudge and cheesecake. Use a cheesecake recipe that does not include flour. Use GF cookies for the crust. I like to use GF ginger snaps. A Gluten Free Thanksgiving is very easy to have in your own home. But if you are going to be a guest, think about bringing a few slices of your own GF turkey if your host stuffs theirs. I usually bring along a Pumpkin Flan as well. 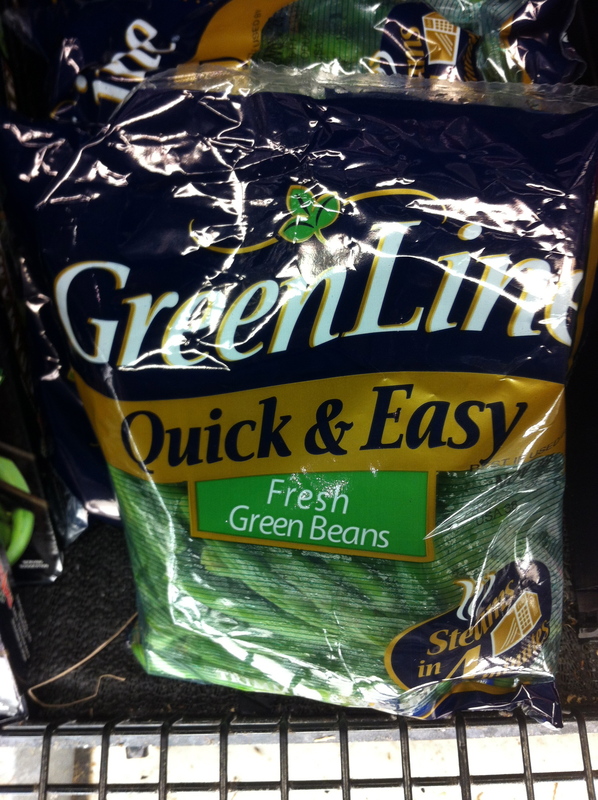 Below is an easy Green Beans recipe as an alternative for green bean casserole. Also included is a wonderful recipe for Popovers. The Popovers are one of the few recipes I make that are not naturally gluten free and require special ingredients. For Pumpkin Flan go to this recipe. 1 1/2 pounds of trimmed green beans These can be found bagged (like salad) in the fresh vegetable isle. Combine butter, hazelnuts, lemon rind and 1/2 teaspoon salt in a small bowl and blend well. Butter can be made up a week in advance and refrigerated. Boil water with 1 3/4 teaspoons of salt. Add green beans and cook 3 minutes. Drain and return pan to medium heat. Add butter mixture and beans. Cook about 3 minutes until beans are well coated and tender. These gluten free Popovers are straight from the box of King Arthur Flour Gluten Free multi-purpose flour mix. The Popovers bake up light and hollow in the center. Just a caution when planning your meal, they take 45 minutes to bake and rest. 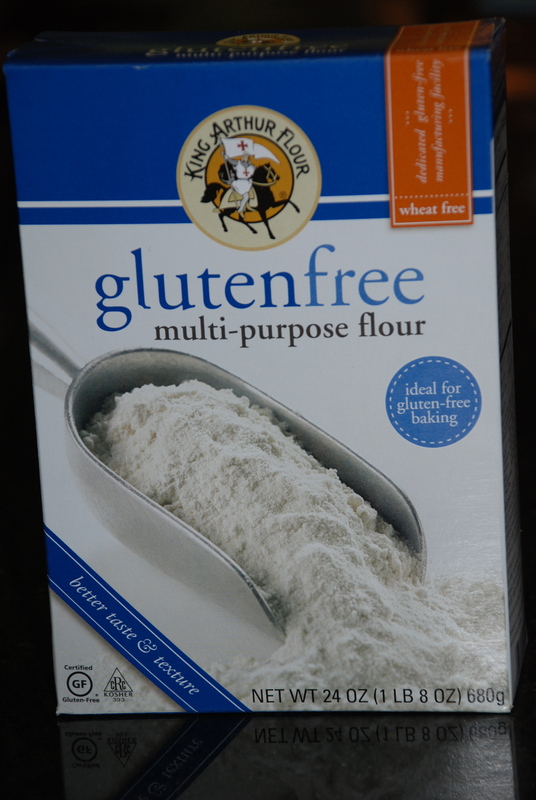 1 cup of King Arthur multi-purpose flour Grocery stores are carrying this now or can be ordered from their website as well. 1/4 teaspoon xanthan gum Can be found in health food stores. 1. Preheat oven to 400 degrees. Grease 12 cup muffin tin. I like to use cooking spray. 2. Whisk together the eggs, butter, and milk in a large bowl. In a separate bowl, whisk the flour, xanthan gum, and salt. Gradually whisk dry ingredients into the liquid, whisking until the batter is smooth. 3. Pour batter into muffin tin filling each cup 2/3 full. 5. Reduce heat to 350 degrees and bake 15 more minutes until Popovers are deep brown. 6. Remove from oven and let them rest for 5 minutes. Remove from tin and serve immediately. It is that time of year to enjoy lots of sweets. For those that have to eat gluten free, it can be a frustrating time. If you are GF or know someone that is, check out some easy recipes I have gathered that happen to be gluten free and don’t require any special ingredients. Even if you are not GF, you might enjoy these. I always volunteer to bring a plate of treats to Christmas gatherings, so I won’t feel left out. And check out the other recipes on my blog…they’re great for the newly diagnosed. PS Take a look at Flourless Chocolate Cake, everyone loves it. It is picking time! I harvest first thing in the morning, as the weather is heating up and the lettuce gets wilted in the afternoon. The first picking produced enough salad greens to make dinner. I carefully cut the oldest leaves and let the others mature for the next meal. Below is a great recipe that is naturally gluten free and tasty for everyone. 3 Tablespoons tomato juice I buy a six pack of small cans of tomato juice and will have it on hand for future salads. Combine ingredients and stir well. 6 cups of salad green – Homegrown is best! And store bought is good too. Also, the salad ingredients can be halved for a smaller salad. Toss ingredients into a salad. I like to serve the dressing on the side, as I usually don’t finish the salad at one meal. The dressing is strong and only a small amount is needed per serving. It is great for any salad. *Check out my blog category “Gluten Free” for more easy GF recipes with everyday ingredients.